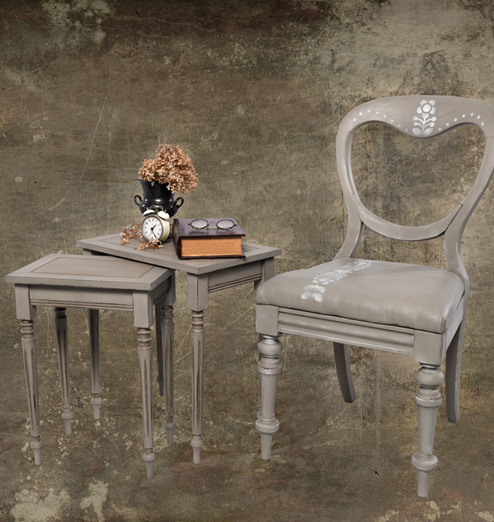 Specialising in beautiful furniture hand-painted with Autentico Chalk Paint (not shabby, but definitely chic! ), we offer good old-fashioned service with free help and advice on any project. Our in-store chalk paint workshop is always open and we invite you to come and try the very best chalk paint on the market today, or even book to attend one of our regular, fun, and practical paint classes! 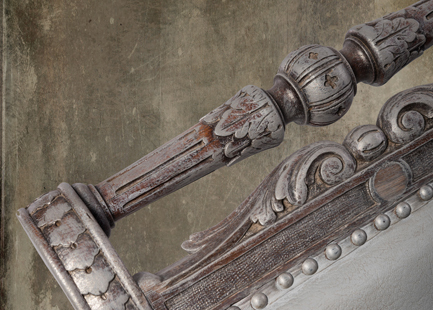 We always hold a stunning collection of reinvigorated hand-painted furniture. Traditional, quirky, and vintage pieces transformed with beautiful, velvety Autentico Vintage Chalk Paint, and buttery, coloured or clear waxes. Sometimes with a change of knobs or handles taken from the quaint and quirky selection of metal, ceramic, and crystal knobs sold in-store. Specialising in beautiful (not shabby, but definitely chic! ), we offer good old-fashioned service with free help and advice on any project. 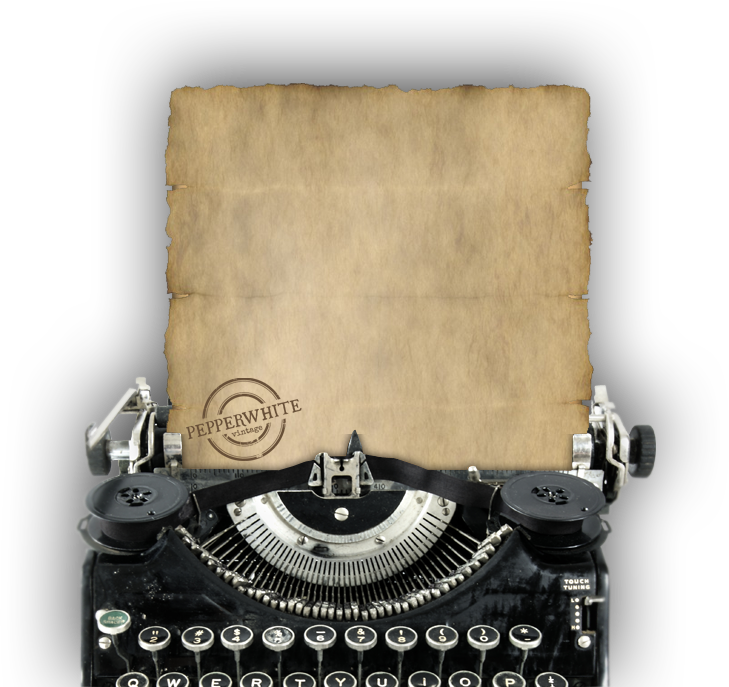 Max McMurdo introduces you to Autentico's wide range of products to help you get started on your upcycling journey. Max covers everything from Paint to DIY so stick with us for some inspirational ideas! 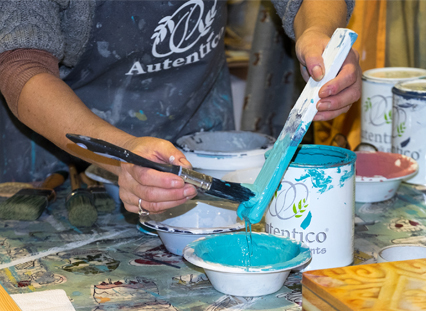 Groups are kept small and intimate so that each attendee receives the tuition they need to make the most of the amazing Autentico Chalk Paints and Waxes. We will teach you loads of tips and techniques to achieve fabulous, fashionable shabby chic effects,enabling you to transform drab, tired furniture into beautiful pieces that will make you proud! Covering paint layering, distressing, colour washing, stencilling, crackling and exploring the gorgeous coloured chalk waxes. Leave with confidence and inspiration! Our door is always open and we invite you to come and try the very best chalk paint on the market today, or even book to attend one of our regular, fun, and practical paint classes! Techniques, tips, and tricks for using Autentico advanced chalk paint! 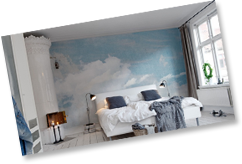 We are proud to offer the amazing range of Rebel Wallpapers. Create a home with design and color. Be a rebel and dare to make a difference. It is only a wall mural! WHAT WE DO WITH IT!
" The Happiest People don't have the best everything .....They just Make the best of everything "